Shyla and Daniel teach travel preparation classes for PCC’s Community Ed Department. 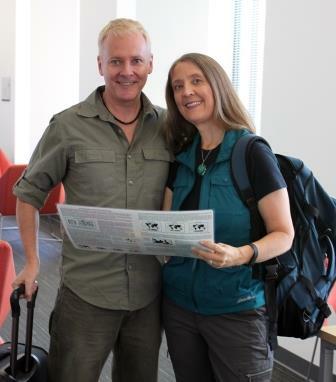 They became International Travel Experts after traveling around the world for seven years. They have been to 74 countries. Shyla has a BA from the University of Washington and and MBA from Napier University in Scotland. Dan has a Masters in Business diploma from Central Queensland University in Australia. They are the bestselling authors of the Before You Go Abroad Handbook. Read Shyla Esko Bare and Daniel Bare’s Professional Bio. They may be contacted at shyla@wildspirittravel.com or at shyla.esko15@pcc.edu.